Fish the Everglades National Park and 10,000 Islands with a REEL Native guide specializing in backcountry, nearshore & offshore charters. This area is one of the TOP destinations for world-class fishing including snook, tarpon, redfish, permit and cobia, to name a few, famous for their fighting ability. From the dense mangroves, brackish water rivers, saltwater flats and outside points to the Gulf of Mexico, Captain Corey Mac will navigate you to the very best and most remote fishing holes this area has to offer. Being the only guide located at the Southern most tip of Chokoloskee Island; leaving from his private dock gives you the BEST access to the Everglades and 10,000 Islands. USCG licensed & insured, using only top of the line fishing equipment with quantum reels, fishing a 21′ Hewes Redfisher with a 250 Yamaha. Fish you can expect to Catch: Backwater and Nearshore: Snook, Redfish, Tarpon, Sea Trout Pompano, Snapper, Jack Crevale and Ladyfish Offshore: Permit,Tarpon, Grouper, King Mackerel, Shark, Snapper, Goliath Grouper, Cobia, Barracuda and Trippletail BOOK your trip with a REEL Native Guide TODAY!!! EXPERIENCE THE EVERGLADES Beyond the concrete buildings and asphalt roads there is another world awaiting you, better known as Florida’s Last Frontier. The Everglades National Park is the largest subtropical wilderness in the United States and is over 1.5 million acres in size. There are over 40 species of mammals, over 360 species of birds and over 50 species of reptiles. So, if you want to get away and relax this is the place for you. Everglades City is a small fishing village located on the Northwest boundary of the Everglades National Park, also known as the capital for the Florida Stone Crab, a delicacy you won’t want to miss while visiting the area. Located just 45 minutes from Naples and only 90 minutes from 3 major airports in Miami, Ft. Lauderdale and Ft. Myers. and ready to go THINGS TO BRING: Hat Sunscreen Polarized Sunglasses Camera Light Jacket Cool loose fitting clothes Food, beverages and bottled water Glades Haven Deli has great subs & sandwiches and they boat wrap. Located in Everglades City on your way to my boat dock in Chokoloskee. Price: $400 (1/2 day based on 2 people), $550 (full day based on 2 people). 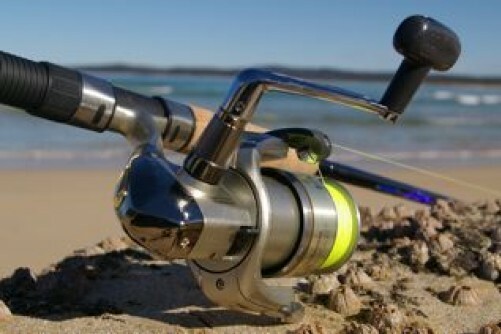 Extra angler is $50. Departure Point: The end of Smallwood drive. See the Google map. 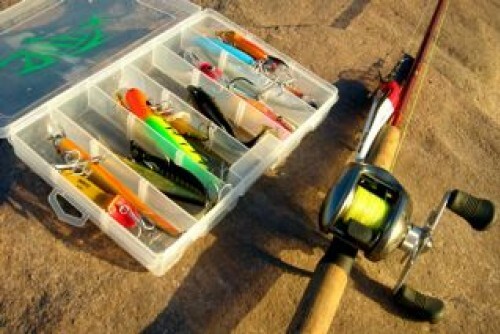 Inclusions: Fishing Licenses, All Fishing Tackle Bait, Cooler iced up and ready to go. Things to bring: Hat Sunscreen Polarized Sunglasses Camera Light Jacket Cool loose fitting clothes Food, beverages and bottled water Glades Haven Deli has great subs & sandwiches and they boat wrap. Located in Everglades City on your way to my boat dock in Chokoloskee. Raised in the Glades… Captain Corey McMillin grew up on Chokoloskee Island, he is a 5th generation Everglades Area fishing guide. Corey has been exploring these waters through the 10,000 Islands since childhood . He traded several car detailing services and a little cash for his first boat at the age of 9 and the rest is pretty much history. Its no secret he loves what he does and has a gift for making sure everyone on the boat has a great time. He genuinely enjoys sharing his knowledge and experience of this area with friends and customers, going the extra mile to make sure you have a truly unique and remarkable fishing experience guaranteed to last a lifetime. A typical day Fishing… Meeting in the morning at his private dock, loading up on his 21″ Hewes Redfisher with a 250 Yamaha and heading out to castnet for live bait. Sit back, relax and enjoy the boat ride, scenery and wildlife as your guide navigates through the mangrove islands (his backyard). During your trip… It is very common to see dolphin, manatees, alligators, sharks, sea turtles, bald eagles, white pelicans and many other native species. Once the baitwells are loaded you will hit some of the hottest fishing holes in Florida and a few well kept secret spots . 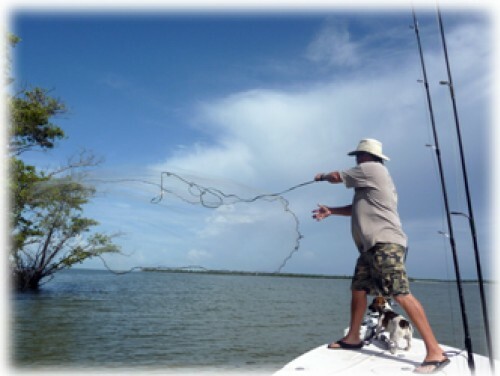 Whether you are a seasoned angler looking for a “Grand Slam” (snook, redfish and tarpon) or a novice fisherman, Captain Corey Mac will tailor your trip to fit your fishing preferences. Depending on the weather, water temperatures, and tides your trip will be customized to give you the best possible catches of the day.